What Does The Process Of Installing Professional Exterior Lighting Entail? Have you decided to invest in outdoor landscape lighting in Atlanta but now you’re not sure who to trust with the job? The appearance of your home and landscape after outdoor lighting has been installed is dependent on one thing—the landscape lighting design. There are many different companies installing landscape lighting but few have actual experienced lighting designers to create the right design for your home and property. 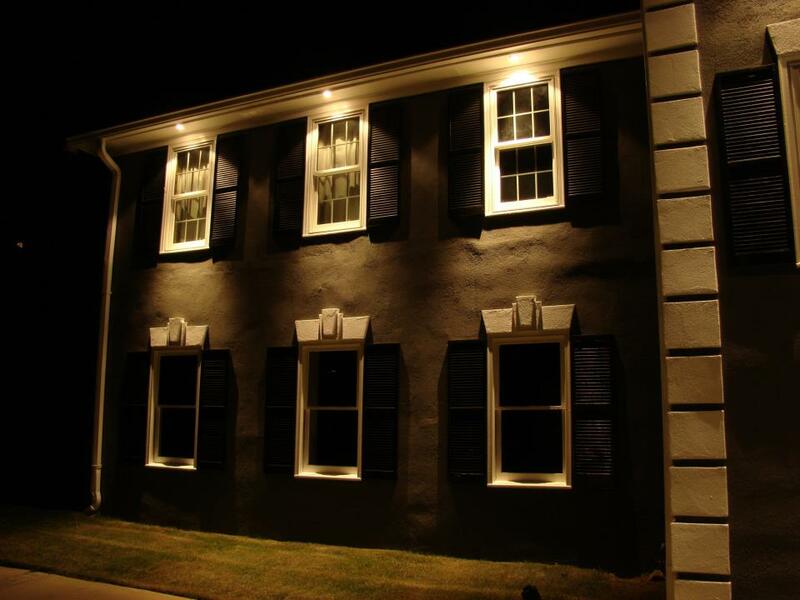 NightVision Outdoor Lighting provides experienced, trusted exterior lighting designs. Our team creates custom solutions that beautifully illuminate and accentuate your landscape and your home. NightVision’s experts will work closely with you to achieve the best lighting effects possible for your environment. As we tour your property together, we’ll discuss what you want the lighting to accomplish. Is it mainly for safety and security? For accenting your beautiful views of your landscape from the interior of your home? Is it to accentuate your home? Do you have a special sculpture or water feature you want highlighted? Our lighting designers will suggest different ways you can accomplish what you are looking for and give you new ideas to consider. They will then create a fully custom lighting design for your home and property. With the right design, we can install your custom lighting system that will transform your home. We utilize the highest quality lighting fixtures, materials and installation methods, which are backed with a limited life time manufacturer warranty. This unmatched combination of customer service and expertise will achieve the look and feel that you’re looking for—and that your neighbors will be envious of. If you would like to schedule an appointment with one of our landscape lighting designers or to receive a free estimate for any of our exterior lighting services in Atlanta, please contact us online or give us a call at 678-828-2999. We have been serving Atlanta and surrounding communities for years, and we look forward to working with you in order to create an exterior lighting oasis that you can enjoy with your family and friends for many years to come. Because most of the exterior lighting fixtures we offer are LED, our systems are extremely sustainable and will save you immensely on energy costs each year. To learn more about our LED options please ask one of our associates when contacting us! We hope you’re enjoying our blog! Please be sure to visit our testimonials page to see what our satisfied customers are saying & let us handle your next outdoor lighting project.